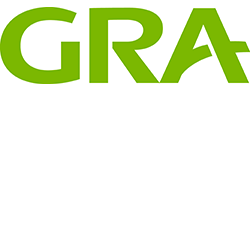 GRA is an expert consulting firm specialising in supply chain strategy, planning and execution. We cover the end-to-end Supply Chain from Network Optimisation to Operational Improvement to Facility Design. Our focus areas include Demand, Sourcing / Procurement, Production, Distribution, Warehousing / Storage, Inventory and Transportation. We combine expert knowledge with best-of-breed planning and optimisation systems to take the supply chain to the next level. We work side-by-side with our clients to ensure change is successful and benefits are sustainable. GRA has developed skills with Defence in Logistics data integrity, business intelligence, procurement and performance functions. GRA is an integral part of CASG capabilities and has a client relationship with the three Services and enabling Groups. High visibility with a strong emphasis on partnering with Defence to achieve success. A small, boutique organisation with a highly skilled employee based workforce, capable of working in complex environments. Key personnel with appropriate security calssifications.